myClub Legend Campaign Volume 3 begins!For Volume 3, Romario will appear! The Brazilian poacher who has accumulated an outstanding amount of goals with phenomenal precision, Romario, is now coming to myClub! With elegant control over the ball, talented dribbling, cunning tactics against defenders, and a keen sense of when to strike, he is the legendary forward player with exceptional skills that dominated the 1990's. Obtain this Legend in myClub to build your dream squad and enjoy seeing Zico and other Brazilian players from other generations play together on the pitch. 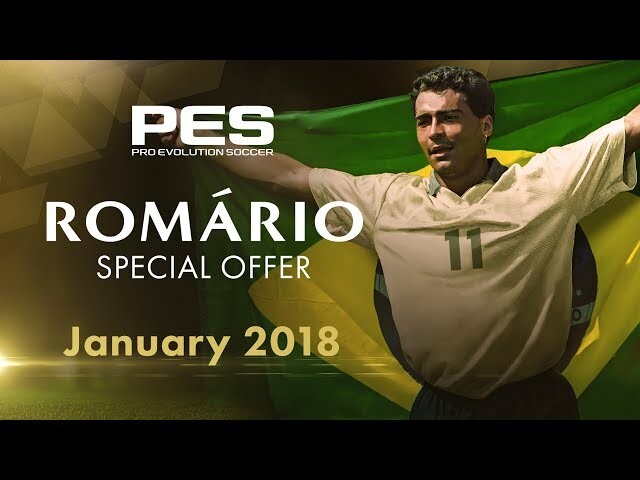 Romario will be available in PES 2018 (iOS/Android) from Monday, January 15th until Monday, January 22nd, and will also be available in PES CLUB MANAGER from Monday, January 15th until Friday, January 19th.